Product prices and availability are accurate as of 2019-04-19 02:18:14 UTC and are subject to change. Any price and availability information displayed on http://www.amazon.com/ at the time of purchase will apply to the purchase of this product. 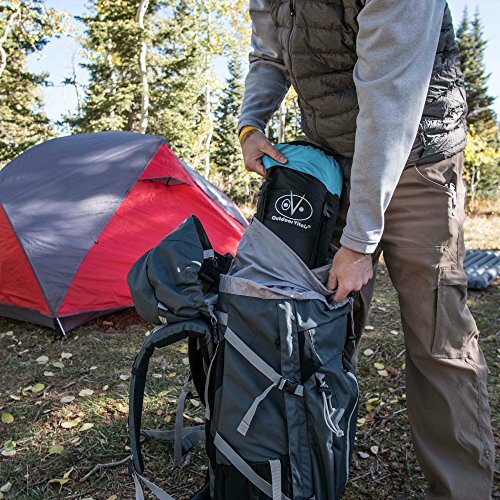 Our Atlas sleeping bag series have some of the highest weight to warmth ratios in the industry keeping your back less tired and your feet warmer at night! Down is nature's best insulator and you'll never regret buying a down bag for added warmth, less weight and more space in your pack! 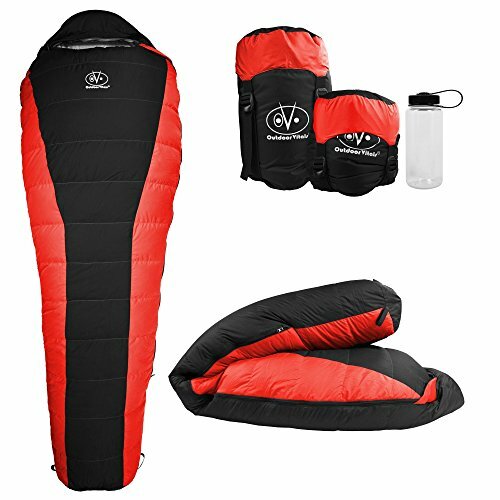 Now you can have all the benefits of $200-400 sleeping bags for under $100! - Insulation / Filling: high quality 500+ fill power duck down. Locked into our baffled design. - Shell & Lining:The Shell is 30D 320T nylon with DWR (water replant) finish. The liner is 50D 320T polyester. 30°F Model: weights 3 lb even with compression bag or 2 lb 14 oz without compression bag. 15°F Model: weights 3 lb 13 oz with compression bag or 3 lb 9 oz without compression bag. .
- Size: All models are 80 x 30 inches. - Heavy Duty Zipper: Heavy duty large zippers and zipper baffling keep you from getting snags and allow you to vent from the bottom. 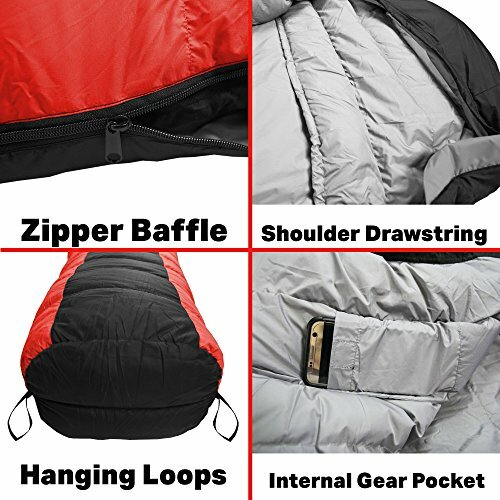 - Free Sleeping Bag Care Guide PDF & Videos! ?SLEEP WARMER WITH DOWN: Filled with 550+ fill power down, the Atlas 15°F compress small and lofts of up big to keep you warm when the temps drop. 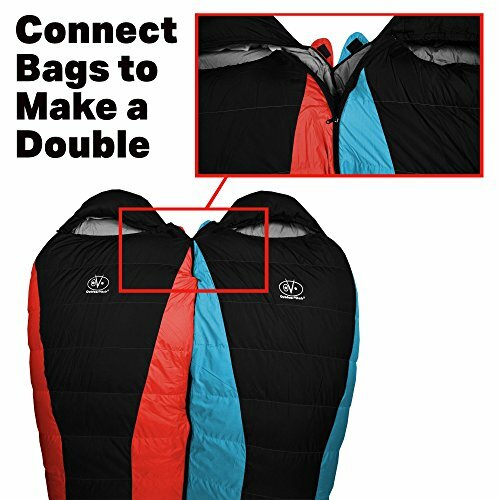 ?PACK LESS WITH PREMIUM MATERIALS: The Atlas down sleeping bag will shave weight with it's ultralight ripstop fabric, while also keeping the highest levels of durability! ?ENJOY MORE ADVENTURES: Having gear you can trust and stay comfortable in has proving to increase the likely hood of going on more trips! 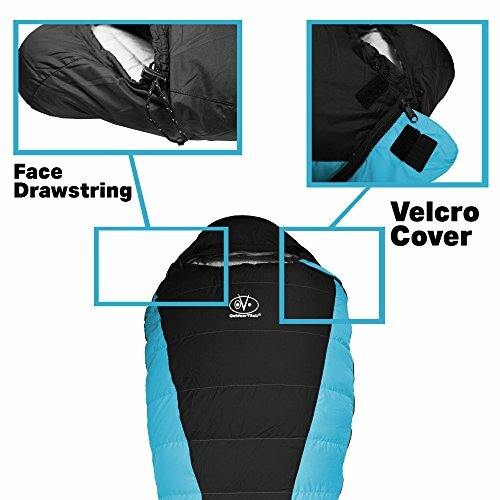 Use the warmth and lack of weight of our Atlas sleeping bag to enjoy the outdoors more! ?DOUBLE BAG OPTIONAL: Buy a right and left hand Atlas and have them zip together! 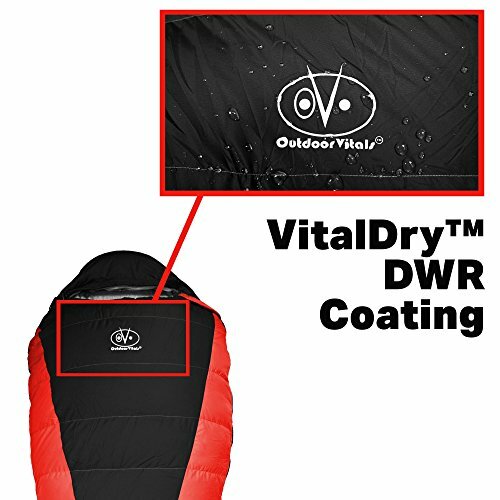 ?LIMITED LIFETIME WARRANTY: Here at Outdoor Vitals we want you to get the quality products you deserve. Rest easy knowing that we have a lifetime warranty on all Outdoor Vitals manufacturing!